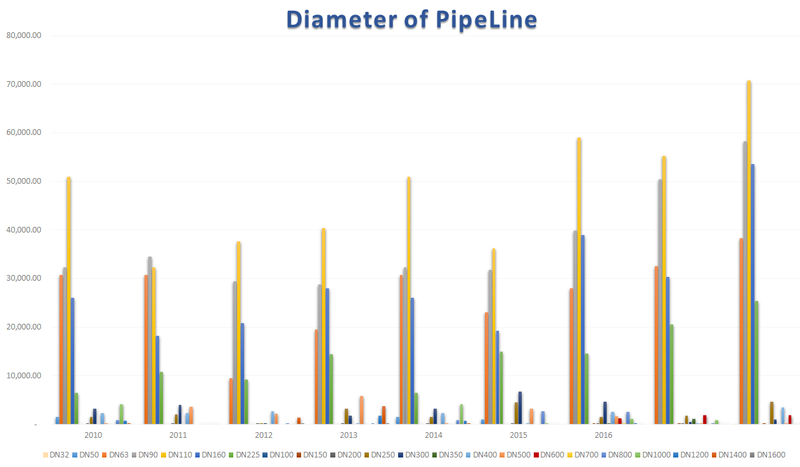 • Main pipelines are pipelines with large diameters of 250 mm or more. The main pipelines are used to transmit the potable water from the intake towers to the distribution pipelines. Currently, PPWSA’s largest main pipelines have a diameter of 1,600 mm. 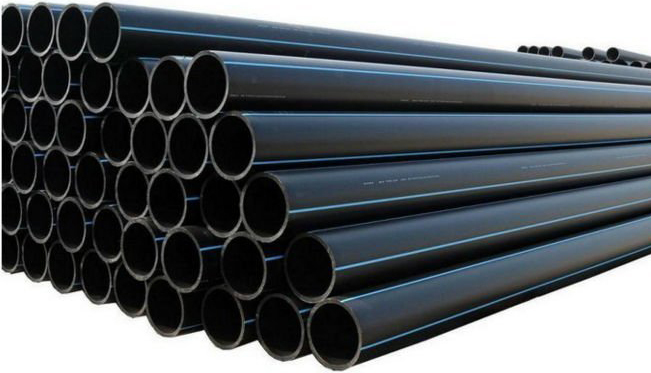 Because of the water pressure in the pipelines, it is mandatory that the main pipelines are constructed of Ductile Iron. • In 1993 the French Government provided grant aid to replace the 8km at size from 80mm to 200 mm long water distribution pipelines in Sangkat Sras Chak, Khan Daun Penh. The primary purpose of this project was to provide training to the employees of PPWSA at that time in the installation of water distribution pipelines. 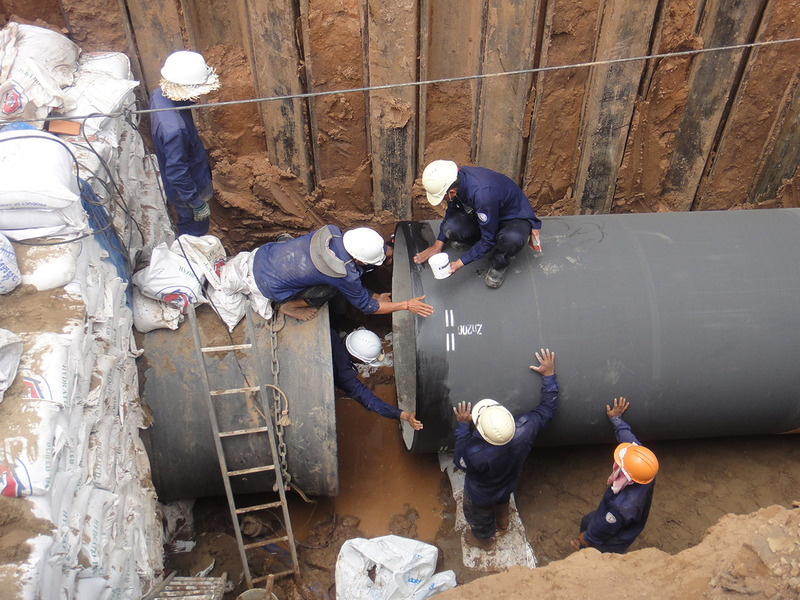 • From 1994 to 1996, PPWSA continued to replace old pipelines with the length of 68 km and extend the service area in Khan Daun Penh with financing from development partners, including the WB and ADB. The financing from both banks was used to purchase pipeline and connection materials. PPWSA contributed funds to lay the pipelines. • In 1997 – 1999, the grant of Japanese aid through JICA enabled the replacement of old pipelines and extensions having a length of 68km to the service areas in the Khan Daun Penh, Khan 7 Makara and a part of Khan Tuol Kok. This grant included the provision of pipelines and installation. At the same time, PPWSA installed new pipelines having a length of 99 km in Khan Chamkar Mon which were financed by a loan from the ADB. 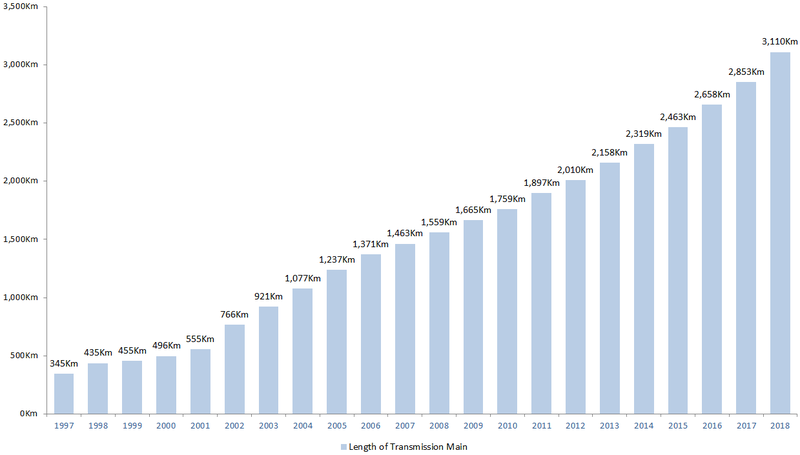 • From 1998 to 2001, the WB and ADB continued to provide financing for the replacement of old pipelines and extensions at the length of 221 km to the service area in Khan Chamkar Mon and Khan Tuol Kok.. Besides, to ensure that the pipeline had adequate capacity, the existing dilapidated main pipeline which had a diameter of 700 mm was replaced with a pipeline ranging in diameter from 900 mm to 1,600 mm. The replacement of the main pipeline was done with financing obtained from the ADB. In addition to the main and water distribution pipelines, the transmission and distribution system contains four water reserve basins for meeting water demand both in terms of quantity and water pressure at the boundaries of the service area. These basins can store 1.500 m3 of treated water, and are built to a height of 30 meters from the ground in order to be able to supply additional water pressure when there is high demand. Grant aid from the AFD was used to finance the construction of two water reserve basins: Chaom Chao Water Reserve Basin and Pochentong Water Reserve Basin. 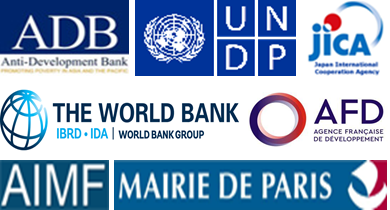 The WB also provided financing for the construction of two water reserve basins: Chraing Chamres Water Reserve Basin and Takhmao Water Reserve Basin.